Is there anyone -- anyone, who has a smartphone, or a cool little digital camera, who has NOT at some point engaged in self-digitization? Even God has taken a selfie. The selfie is called Jesus Christ. It happened in Bethlehem. Jesus Christ is God's self-portrait. 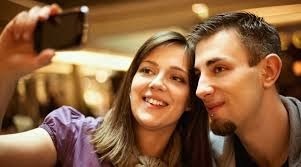 Jesus Christ is God's selfie -- an Instagram shot of what God is like; a visual representation that answers the question: "If God were to be visible and active on earth, what would that look like?" It would look like Jesus Christ. But then, Jesus Christ took a selfie, too. It's called the church. What would it look like if Jesus were alive today and active in the world? It would -- or should -- look like the church. The church is Jesus' selfie. There's a mirror-in-the-mirror thing going on. We in the church are Jesus' selfie, i.e. we show the world what Jesus looks like. At the same time, Jesus is God's selfie, i.e. he shows the world what God "looks" like. The apostle Paul tries to explain this in 2 Corinthians: "That is, in Christ God was reconciling the world to himself ... and entrusting the message of reconciliation to us. So we are ambassadors for Christ, since God is making his appeal through us; we entreat you on behalf of Christ, be reconciled to God". So, really, we -- the church -- are the self-image of Jesus and God, on display for the world to see. The writer of the psalm is crying to God, asking for help. Facing the threat of violence, he begs God to destroy those who are telling lies. Perhaps he has been accused of wrongdoing himself, and is now pleading his case to God. The psalm can be used today by anyone being threatened by wicked, evil, boastful, bloodthirsty or deceitful people. You know them: Friends who are really enemies -- "frenemies." High school gangs. Street thugs. Unfaithful spouses. Unethical co-workers. Substance-abusing relatives who lie to you. Put-down artists. Adversaries who try to undermine and destroy you. 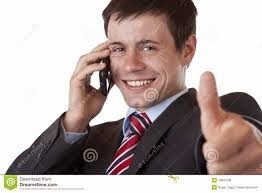 Sleazy salespeople and unscrupulous loan officers. Anyone who lies, cheats and steals, showing no regard for the welfare of others. That's why Psalm 5 encourages us to make an open outcry first to God. So why not talk about your feelings with God, who is the Ultimate Listener? In the morning, plead your case -- ask for help with friends, enemies, spouses, co-workers and relatives. Pray for strength to face the challenges of the day. I just finished talking to one of our students in the hallway. He mentioned how proud he was of his father. For years his father was focused outside the family. The focus led him to areas that was not helpful to the growth of the family or even his father's personal growth. But since that time, his father has had a complete conversion. He has reorganized his life. He takes his family members seriously. He has begun a relationship with his God. Now before Jesus called his very first disciples, he was already calling people to faith. 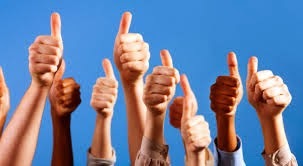 Faithfulness is actually the Christians' "thumbs-up" sign. We have no way of knowing if the course ahead of us carries smooth air or turbulence and storms. We have no special foreknowledge if the skies will be friendly or filled with hostility and danger. What we all do have is faith--faith in the love of Christ, faith in the eternal closeness of God's presence and God's kingdom. Jesus proclaims that the correct response to the gospel news is faith. He gives us the "thumbs-up" signal first. It is then essential that we return a "thumbs-up" sign of trust in God's grace and faithfulness to us. Can we let go and let God take us into the wild blue yonder? Can we let go and trust God enough to lift us into stratospheres of spirituality and service we never knew even existed? Can we get out of the way and let God be God in our lives? Taking his cue from Friday’s Gospel which recounts the tragic death of John the Baptist, the Pope said John was the man God had sent to prepare the way for his son. He, Pope Francis continued, was a man in the court of Herod, filled with corruption and vices who urged everyone to convert. The third thing John did, underlined the Holy Father was to imitate Jesus in his humility, in his suffering and humiliation. The Pope also stressed that like other religious figures such as Blessed Teresa of Calcutta, John the Baptist had dark moments, moments of anguish and doubt sending his disciples to ask Jesus : ' But tell me, is it you, or am I wrong and there is another? Pope Francis explained that John the “icon of a disciple” because he is "the man who proclaims Jesus Christ… and follows the way of Jesus Christ ." LOS ANGELES, CA (Catholic Online) - Cardinal Joao Braz de Aviz, prefect of the Congregation for Institutes of Consecrated Life and Societies of Apostolic Life, explained during a Friday news conference, "Consecrated men and women are aware that besides recounting the great stories they have written in the past, they are called to write a no-less-beautiful and great story in the future." The Cardinal spoke about the 49-year-old Vatican Council decree "Perfectae Caritatis" which has to do with religious life. 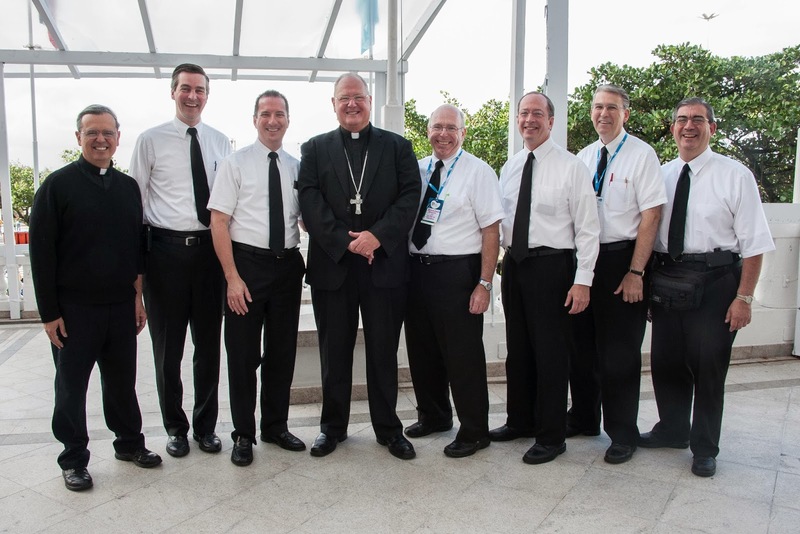 "We are convinced that the council represented the breath of the Holy Spirit not only for the entire church, but in a particular way for consecrated life," the Cardinal told reporters. "We are also convinced that in these 50 years, consecrated life has followed a fruitful path of renewal - certainly not without difficulties and struggles. In this year, we want to recognize and confess our weaknesses, but we also want to show the world with strength and joy the holiness and vitality that are present in consecrated life." The purpose of these vows are to help people to grow in Christ and to eliminate distractions from a life of prayer and service to God. We, the world's 1.2 billion Catholics, are particularly reliant on these individuals for day-to-day assistance, spiritual guidance, provision of the sacraments, and various other needs. Many are reliant on those living religious vocations for food, shelter, medicine, education, and other basic needs. The Church performs an absolutely vital role in the world today. 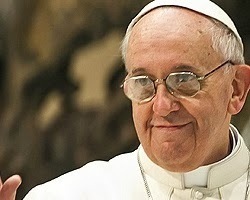 Pope Francis for example, is seen as a peacemaker and the mediator. Recently, Syrian dictator Bashir al-Assad petitioned Pope Francis to help broker a peace in his troubled nation -- such is the integrity and respect that the Catholic Church commands around the globe. Vatican City, 6 February 2014 (VIS) – We publish below the full text of the message the Holy Father has sent to the young people preparing for the 29th World Youth Day 2014, which will take as its theme: “Blessed are the poor in spirit, for theirs is the kingdom of heaven”. The next stop on our intercontinental youth pilgrimage will be in Krakow in 2016. As a way of accompanying our journey together, for the next three years I would like to reflect with you on the Beatitudes found in the Gospel of Saint Matthew. This year we will begin by reflecting on the first Beatitude: ‘Blessed are the poor in spirit, for theirs is the kingdom of heaven’. For 2015 I suggest: ‘Blessed are the pure in heart, for they shall see God’. Then, in 2016, our theme will be: ‘Blessed are the merciful, for they shall obtain mercy’. It is always a joyful experience for us to read and reflect on the Beatitudes! Jesus proclaimed them in his first great sermon, preached on the shore of the sea of Galilee. There was a very large crowd, so Jesus went up on the mountain to teach his disciples. That is why it is known as ‘the Sermon on the Mount’. In the Bible, the mountain is regarded as a place where God reveals himself. Jesus, by preaching on the mount, reveals himself to be a divine teacher, a new Moses. What does he tell us? He shows us the way to life, the way that he himself has taken. Jesus himself is the way, and he proposes this way as the path to true happiness. Throughout his life, from his birth in the stable in Bethlehem until his death on the cross and his resurrection, Jesus embodied the Beatitudes. All the promises of God’s Kingdom were fulfilled in him. The Beatitudes of Jesus are new and revolutionary. They present a model of happiness contrary to what is usually communicated by the media and by the prevailing wisdom. 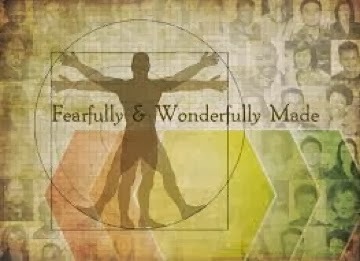 A worldly way of thinking finds it scandalous that God became one of us and died on a cross! According to the logic of this world, those whom Jesus proclaimed blessed are regarded as useless, ‘losers’. What is glorified is success at any cost, affluence, the arrogance of power and self-affirmation at the expense of others. Jesus challenges us, young friends, to take seriously his approach to life and to decide which path is right for us and leads to true joy. This is the great challenge of faith. Jesus was not afraid to ask his disciples if they truly wanted to follow him or if they preferred to take another path. Simon Peter had the courage to reply: ‘Lord, to whom shall we go? You have the words of eternal life’. If you too are able to say ‘yes’ to Jesus, your lives will become both meaningful and fruitful. 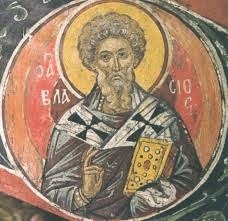 What does it mean to be ‘blessed’ (makarioi in Greek)? To be blessed means to be happy. Tell me: Do you really want to be happy? In an age when we are constantly being enticed by vain and empty illusions of happiness, we risk settling for less and ‘thinking small’ when it come to the meaning of life. Think big instead! Open your hearts! As Blessed Piergiorgio Frassati once said, ‘To live without faith, to have no heritage to uphold, to fail to struggle constantly to defend the truth: this is not living. It is scraping by. 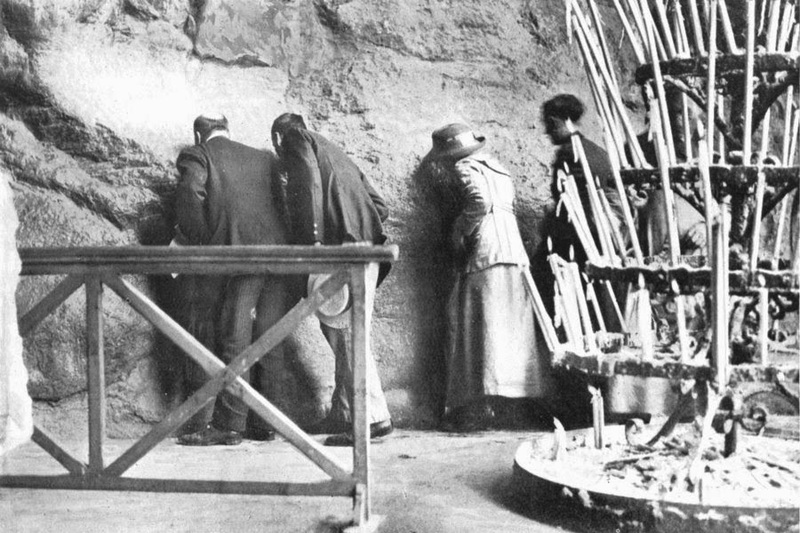 We should never just scrape by, but really live’ (Letter to I. Bonini, 27 February 1925). In his homily on the day of Piergiorgio Frassati’s beatification (20 May 1990), John Paul II called him ‘a man of the Beatitudes’ (AAS 82 , 1518). If you are really open to the deepest aspirations of your hearts, you will realize that you possess an unquenchable thirst for happiness, and this will allow you to expose and reject the ‘low cost’ offers and approaches all around you. When we look only for success, pleasure and possessions, and we turn these into idols, we may well have moments of exhilaration, an illusory sense of satisfaction, but ultimately we become enslaved, never satisfied, always looking for more. It is a tragic thing to see a young person who ‘has everything’, but is weary and weak. Saint John, writing to young people, told them: ‘You are strong, and the word of God abides in you, and you have overcome the evil one’. oung people who choose Christ are strong: they are fed by his word and they do not need to ‘stuff themselves’ with other things! Have the courage to swim against the tide. Have the courage to be truly happy! Say no to an ephemeral, superficial and throwaway culture, a culture that assumes that you are incapable of taking on responsibility and facing the great challenges of life! First of all, let us try to understand what it means to be ‘poor in spirit’. When the Son of God became man, he chose the path of poverty and self-emptying. As Saint Paul said in his letter to the Philippians: ‘Let the same mind be in you that was in Christ Jesus, who, though he was in the form of God, did not count equality with God a thing to be grasped, but emptied himself, taking the form of a servant, being born in human likeness’. Jesus is God who strips himself of his glory. Here we see God’s choice to be poor: he was rich and yet he became poor in order to enrich us through his poverty. His is the mystery we contemplate in the crib when we see the Son of God lying in a manger, and later on the cross, where his self-emptying reaches its culmination. The Greek adjective ptochos (poor) does not have a purely material meaning. It means ‘a beggar’, and it should be seen as linked to the Jewish notion of the anawim, ‘God’s poor’. It suggests lowliness, a sense of one’s limitations and existential poverty. The anawim trust in the Lord, and they know that they can count on him. As Saint Therese of the Child Jesus clearly saw, by his incarnation Jesus came among us as a poor beggar, asking for our love. The Catechism of the Catholic Church tells us that ‘man is a beggar before God’ and that prayer is the encounter of God’s thirst and our own thirst. Saint Francis of Assisi understood perfectly the secret of the Beatitude of the poor in spirit. Indeed, when Jesus spoke to him through the leper and from the crucifix, Francis recognized both God’s grandeur and his own lowliness. In his prayer, the Poor Man of Assisi would spend hours asking the Lord: ‘Who are you?’ ‘Who am I?’ He renounced an affluent and carefree life in order to marry ‘Lady Poverty’, to imitate Jesus and to follow the Gospel to the letter. Francis lived in imitation of Christ in his poverty and in love for the poor – for him the two were inextricably linked – like two sides of one coin. First of all, try to be free with regard to material things. The Lord calls us to a Gospel lifestyle marked by sobriety, by a refusal to yield to the culture of consumerism. This means being concerned with the essentials and learning to do without all those unneeded extras which hem us in. Let us learn to be detached from possessiveness and from the idolatry of money and lavish spending. Let us put Jesus first. He can free us from the kinds of idol-worship which enslave us. Put your trust in God, dear young friends! He knows and loves us, and he never forgets us. Just as he provides for the lilies of the field, so he will make sure that we lack nothing. If we are to come through the financial crisis, we must be also ready to change our lifestyle and avoid so much wastefulness. Just as we need the courage to be happy, we also need the courage to live simply. However – and this is my third point – the poor are not just people to whom we can give something. They have much to offer us and to teach us. How much we have to learn from the wisdom of the poor! Think about it: several hundred years ago a saint, Benedict Joseph Labre, who lived on the streets of Rome from the alms he received, became a spiritual guide to all sorts of people, including nobles and prelates. In a very real way, the poor are our teachers. They show us that people’s value is not measured by their possessions or how much money they have in the bank. A poor person, a person lacking material possessions, always maintains his or her dignity. The poor can teach us much about humility and trust in God. In the parable of the pharisee and the tax-collector, Jesus holds the tax-collector up as a model because of his humility and his acknowledgement that he is a sinner. The widow who gave her last two coins to the temple treasury is an example of the generosity of all those who have next to nothing and yet give away everything they have. The central theme of the Gospel is the kingdom of God. Jesus is the kingdom of God in person; he is Immanuel, God-with-us. And it is in the human heart that the kingdom, God’s sovereignty, takes root and grows. The kingdom is at once both gift and promise. It has already been given to us in Jesus, but it has yet to be realised in its fullness. That is why we pray to the Father each day: ‘Thy kingdom come’. There is a close connection between poverty and evangelisation, between the theme of the last World Youth Day – ‘Go therefore, and make disciples of all nations!’ – and the theme for this year: ‘Blessed are the poor in spirit, for theirs is the kingdom of heaven’. The Lord wants a poor Church which evangelises the poor. When Jesus sent the Twelve out on mission, he said to them: ‘Take no gold, nor silver, nor copper in your belts, no bag for your journey, nor two tunics, nor sandals, nor a staff; for the labourers deserve their food’. Evangelical poverty is a basic condition for spreading the kingdom of God. The most beautiful and spontaneous expressions of joy which I have seen during my life were by poor people who had little to hold onto. Evangelisation in our time will only take place as the result of contagious joy. 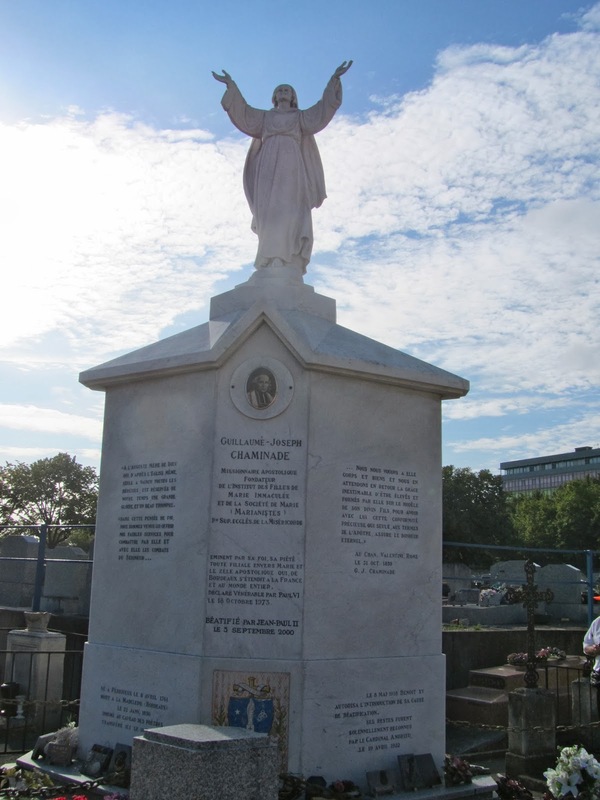 This month of April marks the thirtieth anniversary of the entrustment of the Jubilee Cross of the Redemption to the young. That symbolic act by John Paul II was the beginning of the great youth pilgrimage which has since crossed the five continents. The Pope’s words on that Easter Sunday in 1984 remain memorable: ‘My dear young people, at the conclusion of the Holy Year, I entrust to you the sign of this Jubilee Year: the cross of Christ! Carry it throughout the world as a symbol of the love of the Lord Jesus for humanity, and proclaim to everyone that it is only in Christ, who died and rose from the dead, that salvation and redemption are to be found’. Dear friends, the Magnificat, the Canticle of Mary, poor in spirit, is also the song of everyone who lives by the Beatitudes. The joy of the Gospel arises from a heart which, in its poverty, rejoices and marvels at the works of God, like the heart of Our Lady, whom all generations call ‘blessed’. May Mary, Mother of the poor and Star of the new evangelisation help us to live the Gospel, to embody the Beatitudes in our lives, and to have the courage always to be happy. Psalm 5 is an open outcry: "Give ear to my words, O LORD; give heed to my sighing. 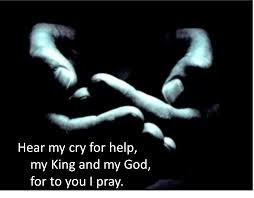 Listen to the sound of my cry, my King and my God, for to you I pray." The psalmist is crying to God, asking for help. Facing the threat of violence, he begs God to destroy those who are telling lies. Perhaps he has been accused of wrongdoing himself, and is now pleading his case to God. The psalm can be used today by anyone being threatened by wicked, evil, boastful, bloodthirsty or deceitful people. So why not talk about your feelings with God, who is the Ultimate Listener? In the morning, plead your case -- ask for help with frenemies, spouses, co-workers and relatives. Pray for strength to face the challenges of the day, knowing that the Lord is "not a God who delights in wickedness. Today's blog is a reflection given by one of our Marianist Brothers. 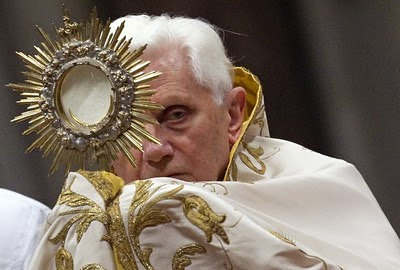 Pope Benedict's homily for Vespers on the Feast of the Presentation of the Lord was a model of liturgical preaching. Below is shared a small excerpt of the Holy Father's message. Consecrated men and women, be they hidden in the cloister, or engaged in the Church's mission to the world, are associated to the Lord Jesus and called, at every moment, to remain close to Him, at "the throne of grace." 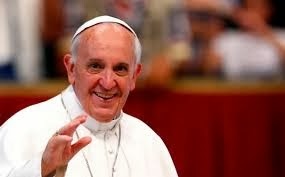 Imagine our joy when Pope Francis announced that the Church would celebrate “the Year of Consecrated Life” in 2015! 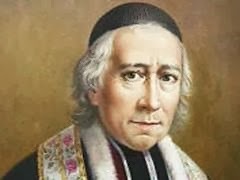 We look forward to the Year of Consecrated Life as a way of renewing our commitment to the charism of our Founder, Blessed William Joseph Chaminade, and as a grace-filled opportunity to nurture the seeds of a religious vocation among young men who have expressed an interest in our Province and in our Marianist way of life. We ask you to join us in prayer, that young people would respond joyfully and generously to the call of a religious vocation. We ask you in particular to pray for those young men who are discerning a call to the Society of Mary and the Province of Meribah. This past summer, seven young men lived, prayed, studied, and worked with us in a three-week discernment community. Many of these same young men will join us again this summer in our discernment community, along with several newcomers to the program. Please pray for us as we strive to “be like Him” and lead others to do so as well. Bro. Thomas J. Cleary. S.M. Just as the First Adam was called to be a gardener, so too was Jesus, the Second Adam. Jesus constantly used agricultural images. He talked more like a gardener than a rabbi. There is a definite "earthiness" to all of His sayings. When Jesus called his disciples to be "the salt of the earth," he was comparing their role in the world to the role the dungheap played in the agricultural practices of his day. Salt, like manure, was not of any use when clumped together by itself. Salt and manure were meant to be worked into the soil - enriching the productivity of the whole field with their presence. Christians are called to stimulate the growth of truth and righteousness - to increase the production of goodness in the world. The church, the body of Christ, is the salt - the dungheap, the compost pile, the manure that must find its way into and fertilize the barren soil of lonely, hopeless souls. Like a pinch of leaven in the dough; like a sprinkle of salt or a shovelful of manure in the flowerbed; or even like a single simple construction worker's son wandering within a tiny, primitive country, God has always had a way of making a little go a long way. 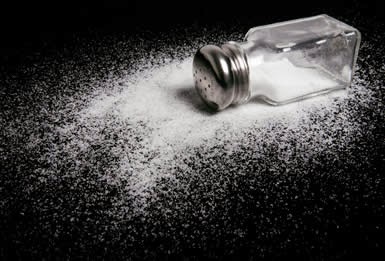 Salt is a doubly descriptive image of this principle at work. As well as being a kind of soul-enriching fertilizer, salt also makes us thirsty. Airplanes and bars know that by putting out free snacks like salty peanuts and pretzels they will increase patrons' thirst and thus their drink sales. In the same way the church as salt should stimulate the thirst of others for the good things of God, for the amazing things of the Spirit. Pope Francis said contemporary ideas of marriage as an arrangement defined by personal needs promote a mentality of divorce, and he called for better preparation of engaged couples as well as ministry to Catholics whose marriages have failed. The pope’s remarks appeared in a message distributed Feb. 7 to Polish bishops making “ad limina” visits to Rome to report on the state of their dioceses. Pope Francis met with the group but, as he frequently does, dispensed with reading out his prepared text. The newest Benedictine album has been published on Jan 2, 2014. And it is out February 11, 2014. Polyphony/Chant/Original Compositions all geared towards the Lenten Season. The image of God is everything. We were created in God's image for a purpose. Each of us is chosen for a purpose that has nothing to do with fame, fortune or face time on TV. Our purpose is to reflect the image of God in us and no other, and to live as people who authentically love and are loved. God defines our true identity as his created and loved image, and then calls us to live out that identity in community for the whole world. Indeed, Scripture tells us over and over again that God does his best work through those whom the rest of the world wouldn't give 15 seconds of attention, let alone 15 minutes of fame: people like this poetic little shepherd, a bunch of working class fishermen and a host of sinners like us. It's through the weakest and least likely that God's glory is able to shine brightest. As Paul puts it in 1 Corinthians, "But God chose what is foolish in the world to shame the wise; God chose what is weak in the world to shame the strong. God chose what is low and despised in the world, things that are not, to reduce to nothing things that are, so that no one might boast in the presence of God." Appearances can be deceiving. God looks at the heart. The only image that matters is God's image in us. Few, if any, of us will ever be famous to the rest of the world, but we are all famous to God. It's God's picture of us that is the most clearly focused and long-lasting. May we be people who skip the bling and, instead, strive to be the picture he created us to be. 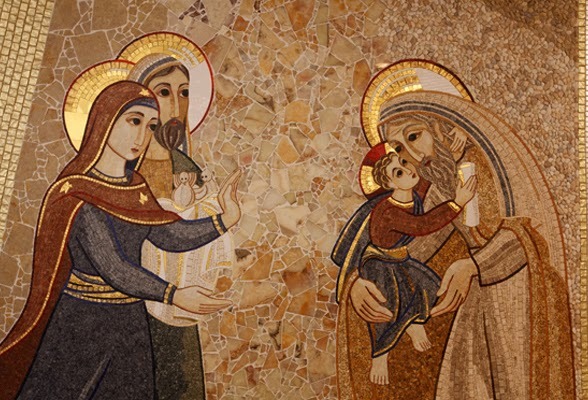 Every year the Church celebrates the Feast of the Presentation of the Lord with the members of Congregation for Institutes of Consecrated Life and Societies of Apostolic Life to remind us that just as Mary and Joseph presented Jesus to the Lord, those who are consecrated have also presented themselves to the Lord. This day serves as a day for them to once again re-affirm their response to God’s call to set themselves apart for His will. We consider today the words of John Paul II: "Truly there is great urgency that the consecrated life show itself ever more "full of joy and of the Holy Spirit," that it forge ahead dynamically in the paths of mission, that it be backed up by the strength of lived witness, because "modern man listens more willingly to witnesses than to teachers, and if he does listen to teachers, it is because they are witnesses." Let the waters... And God said, "Let the waters under the sky be gathered together into one place, and let the dry land appear." And it was so. God called the dry land Earth, and the waters that were gathered together he called Seas. And God saw that it was good.